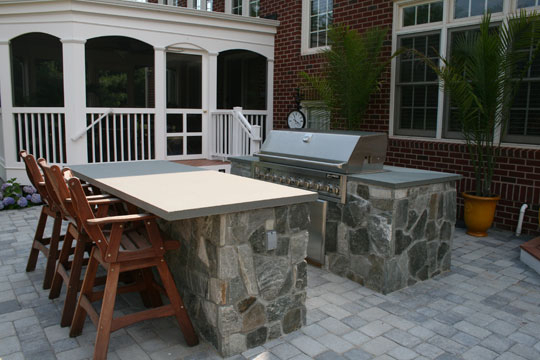 Custom outdoor kitchens, stone barbeques pits, patio bars, and similar landscaping architecture has become very popular in recent years as clients want to transform their outdoor spaces into functional, cozy areas designed to entertain and relax. 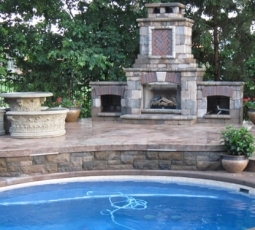 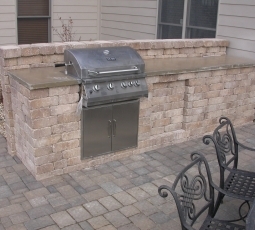 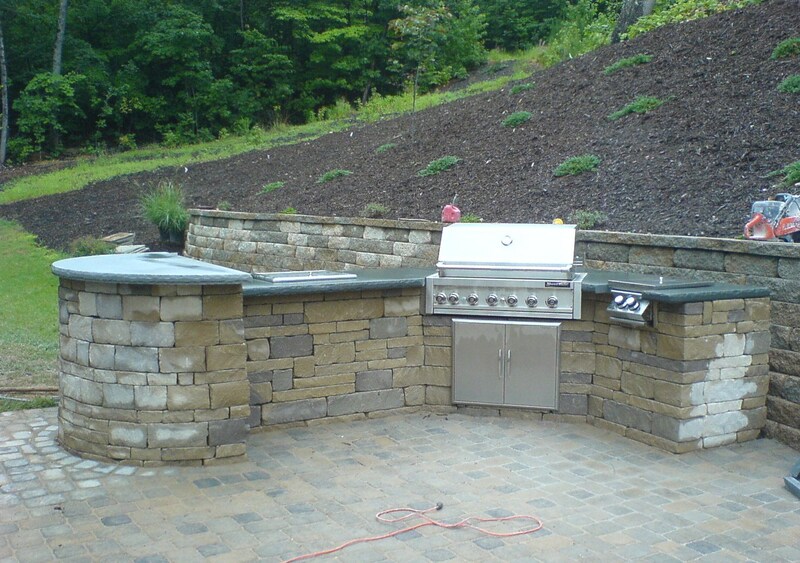 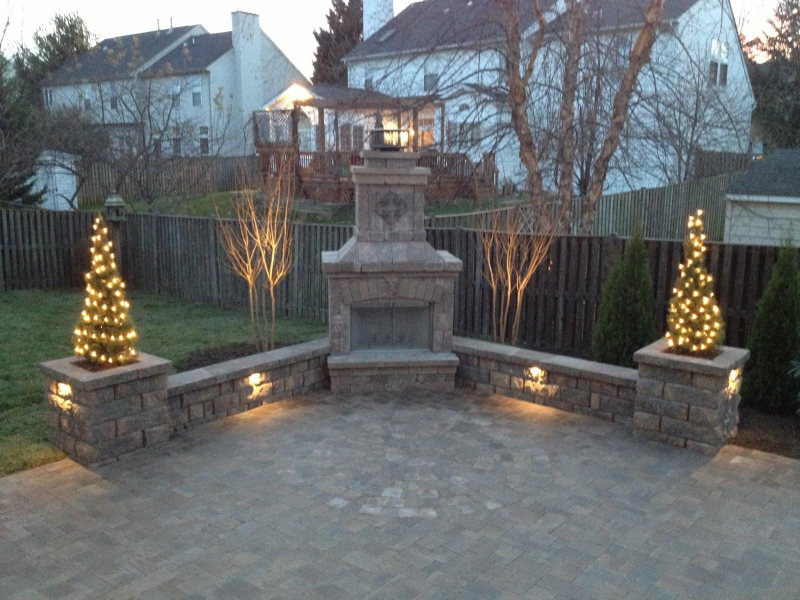 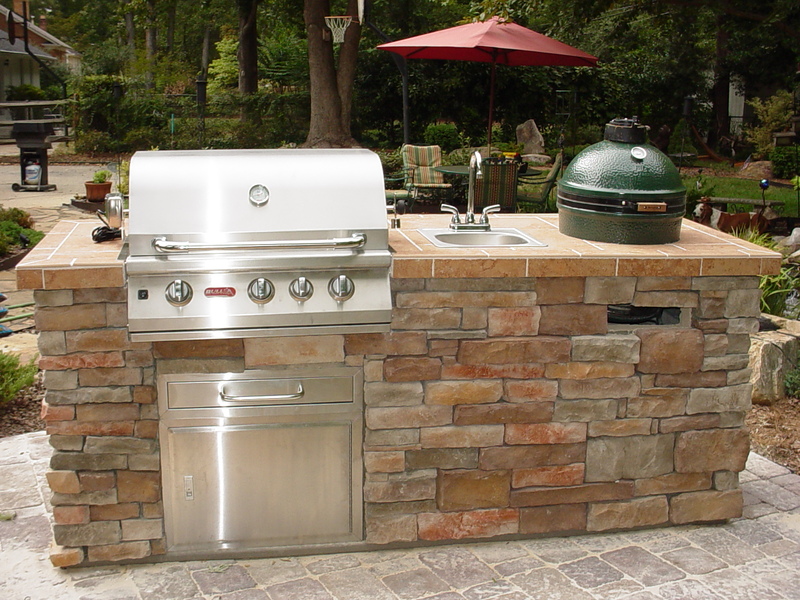 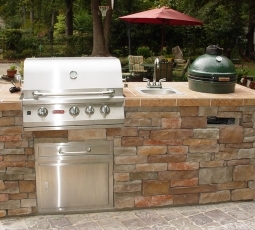 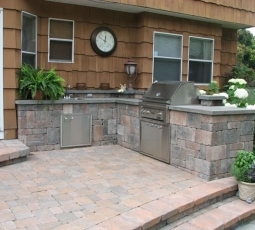 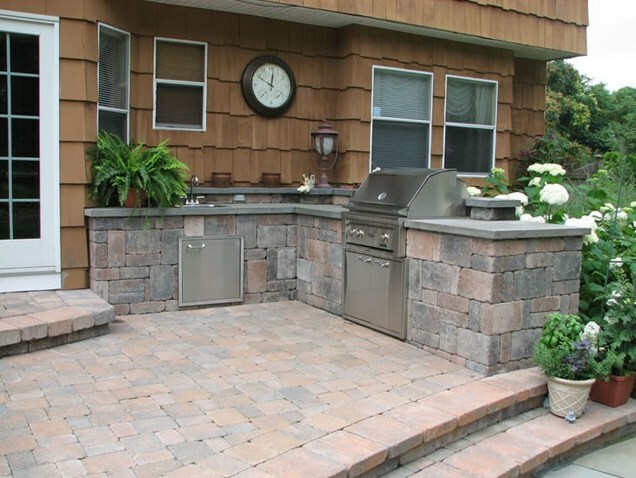 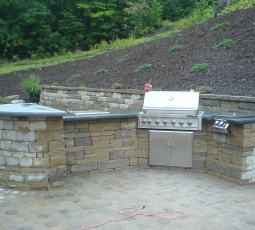 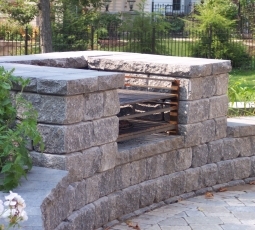 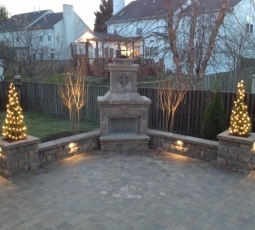 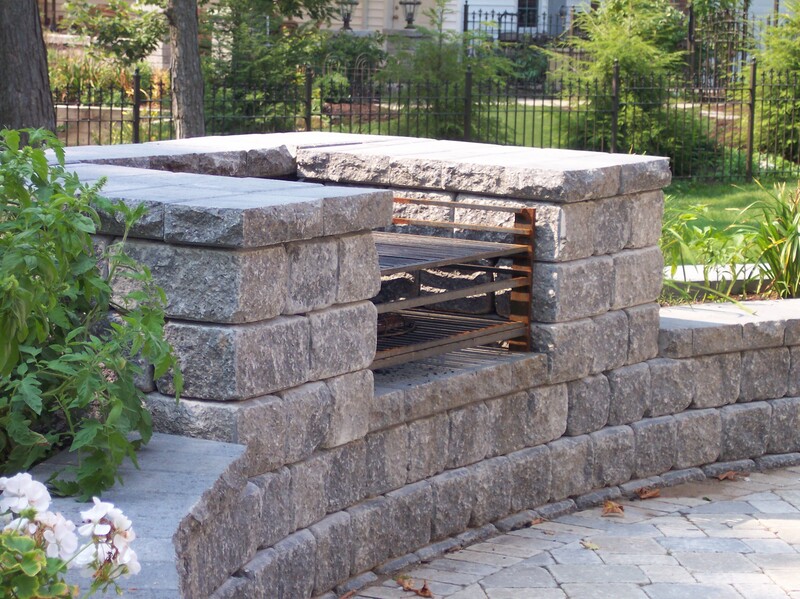 Labor Tech Landscaping installs custom outdoor gourmet kitchens featuring refrigerators, ice makers, trash compactors, wine bars, ovens, grills, wood fired ovens, islands and just about anything else you can imagine. 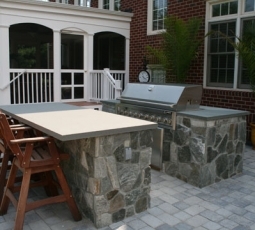 Full outdoor kitchens are not simply for warm climates anymore, they can be made to survive full annual usage even here in Maryland. 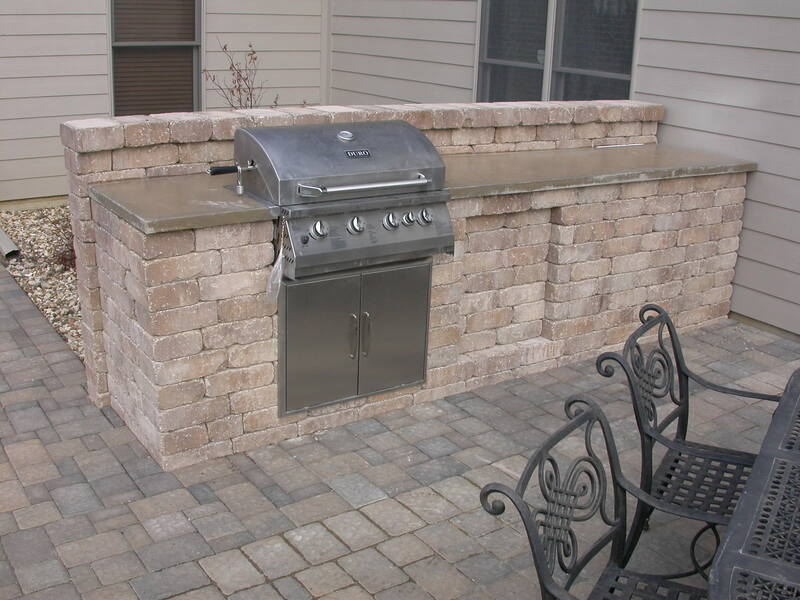 Stone or stone veneers are good options that weather well, does not require painting (and then repainting). 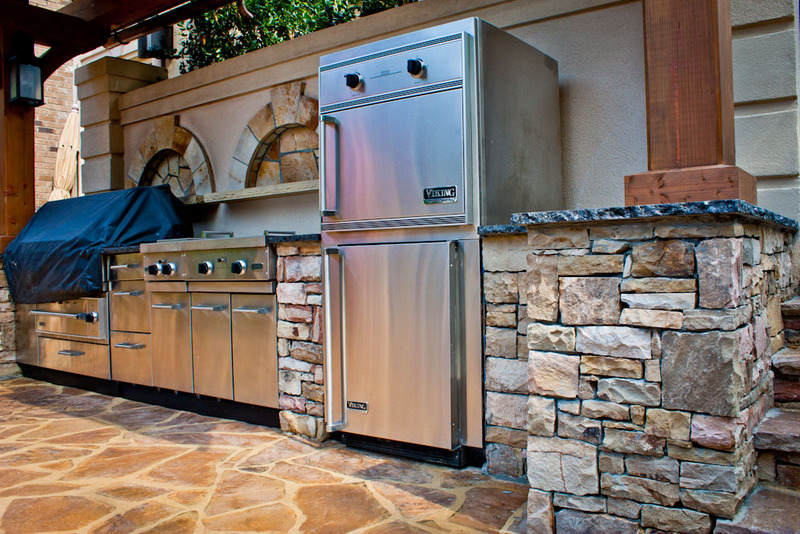 This will protect the more vulnerable parts of your grill and refrigerator, look beautiful, and make maintenance a breeze. 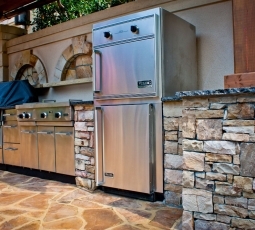 Besides, stainless steel kitchen elements on top of stone exterior looks great, modern, and will ultimately create a spot where your guests love to gather.